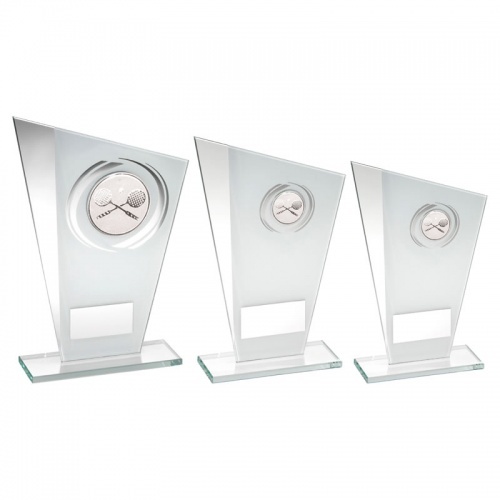 These stylish squash awards plaques have a clean, modern design that is sure to turn heads at your awards presentation. 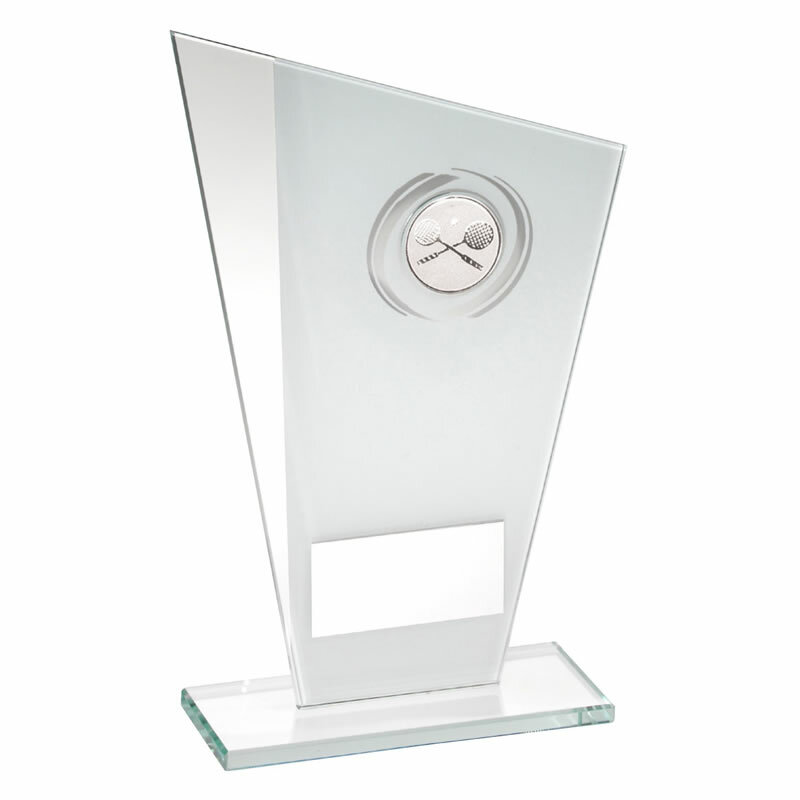 Crafted in jade glass, they have a white and silver colour finish and include a circular squash theme insert. They stand 6.5in / 165mm tall and are offered with engraving options.